Last night Smartscape was very privileged to be part of a private demonstration of the Philips Arena Vision installation at the PSV football Stadium in Eindhoven, The Netherlands. 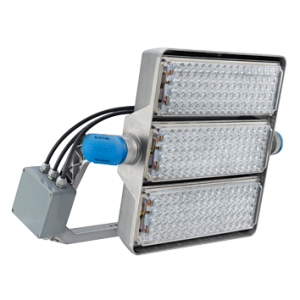 The stadium uses 264 Philips Arena Vision LED fittings as the flood lighting for the stadium, but this installation does so much more than just provide light and is a great example of “Light Beyond Illumination”. Besides from the 30% energy saving by swapping from conventional flood lighting to LED, the real benefit of the upgrade is the ability to use the lighting to create and add to the whole customer experience. Using a DMX show controller and integrating with music, different light shows are used for every possible scenario, player introductions, pre game build up, when goals are scored and etc, this all creates an atmosphere that simply would not be possible with conventional lighting scenarios. 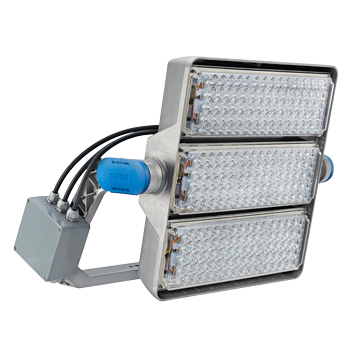 Philips Arena Vision, the ultimate flood lighting solution!!! Read the official press release for the installation Philips Arena Vision Press Release.